In the recent series of blogs, I've looked back over 2016 at my radio and TV interviews, the talks and book signings I've given, and the wide variety and number of my crime novels which have been published in so many different formats throughout the year. In between the talks, radio, TV interviews, I have been engaged on writing, research and other activities. Here is a round up of them. During 2016 I have been busy writing. I have put the finishing touches to DI Andy Horton number 13, Lethal Waves, checked through the copy-edits and the proofs of this Andy Horton novel ready for it to be published by Severn House in the UK on 28 February 2017 and in the USA on 1 June 2017. I have also completed Andy Horton number fourteen although it needs a little more work on it before I whiz it over to my publisher. In addition, during 2016, I finished writing the third in the Art Marvik marine based mystery series, which is now with my publisher while I wait with fingers crossed to see if they will publish it and when. I've also written the first draft of Art Marvik number four and am currently working through the second revision of this marine mystery novels. 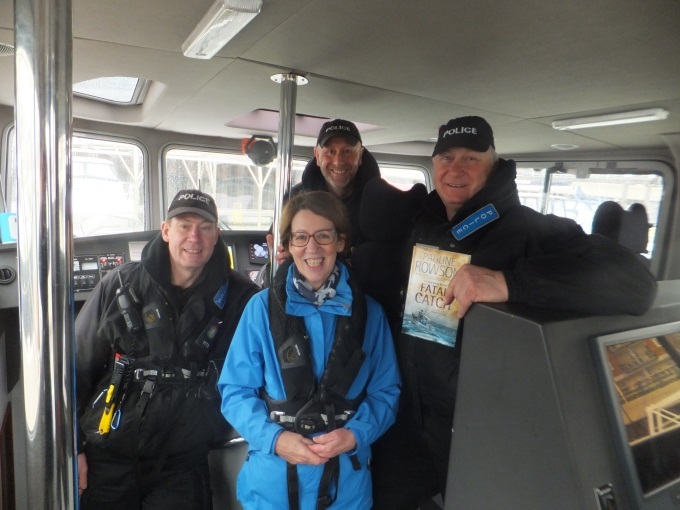 One of the great things about being a crime writer is you get to meet some very interesting people, go to some very unusual places and get to spend time with the Hampshire Police Marine Unit on the water! 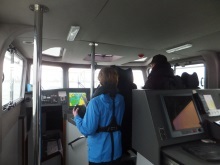 I’ve been privileged to have been behind the scenes on the Condor Commodore Clipper Ferry (DI Andy Horton 13 – Lethal Waves – to be published in February 2017 and on No Man’s Fort in the Solent, but it was on the police launch that I spent a chilly morning in February researching Portsmouth Harbour and Rat Island for DI Andy Horton number 14 . 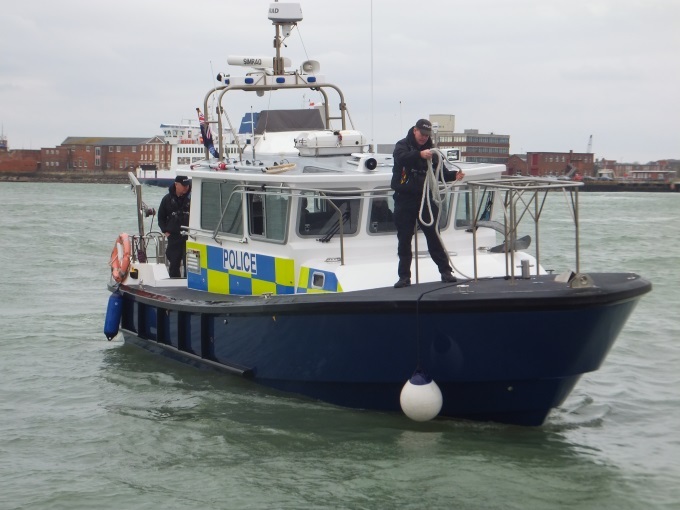 I have a lot of admiration for Hampshire Police Marine Unit and readers of my DI Andy Horton novels will know that the marine unit is featured in them. They police one of the busiest stretches of water in Europe indeed in the World. 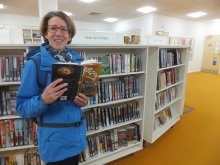 In February I was thrilled to learn the news that my crime novels are scoring a hit with UK library readers with the latest figures on borrowing from UK public libraries in the Public Lending Rights league table showing them having been loaned out over 50,000 times in 2015 with Death Surge, Shroud of Evil and A Killing Coast all featuring the flawed and rugged Portsmouth based cop, DI Andy Horton, the most borrowed crime novels. Public Lending Right (PLR) allows authors to receive payment under PLR legislation for the loans of their books by public libraries. Payments are made annually on the basis of loans data collected from a sample of public libraries in the UK. PLR systems have been established in many countries around the world including Germany, Austria, the Netherlands, France and Ireland. I'm very honoured and delighted that my crime novels are giving a lot of people so much pleasure. In Cold Daylight is one of my early novels about one man's quest to discover the truth behind the deaths of firefighters. It was voted third in an online poll as the most popular novel for World Book Day 2008. Before fire-fighter Jack Bartholomew can reveal the cause of his own and his colleagues’ cancer he is murdered and silenced forever. But in a cryptic message he orchestrated before his untimely death, he has left a trail of clues that will lead his best friend, Marine Artist, Adam Greene, into a labyrinth of lies, secrets and government conspiracy. 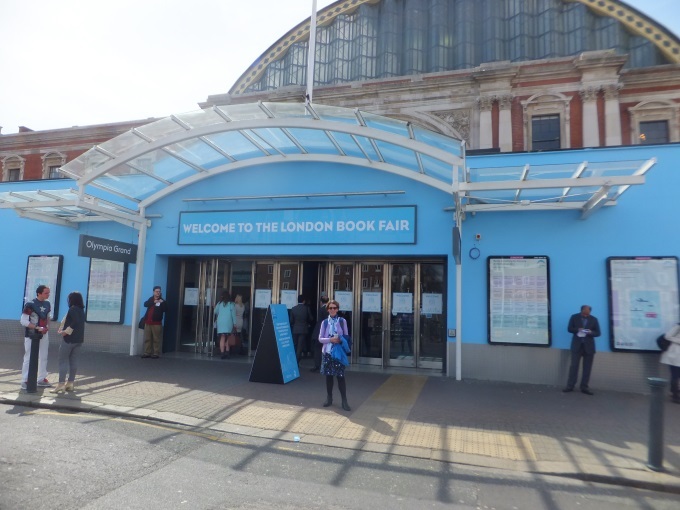 April and a visit to the annual London Book Fair to meet up with my publishers and my oversea agents. 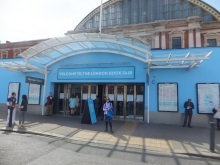 It was a very hectic London Book Fair and as always it was great to catch up with with my publishers, agents and other colleagues in the publishing world at the London Book Fair at Olympia. Also in April another special promotion by my publisher this time under the banner of 'Fall in love with a new series'. 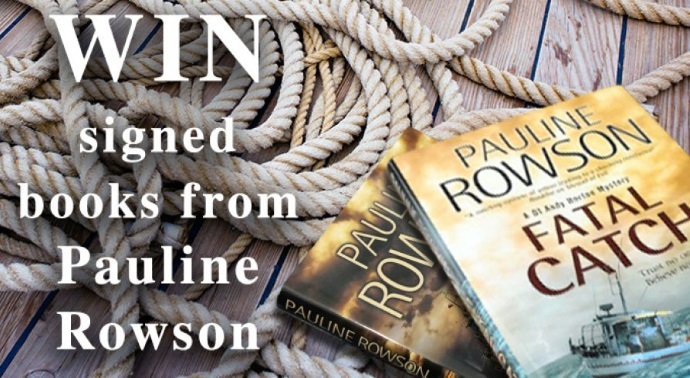 The promotion was on Kobo and featured the first in the DI Andy Horton series, Tide of Death. The DI Horton series has also been optioned by one of the UK's leading television production companies, Lime Pictures, who are seeking to bring the enigmatic detective to the TV screens. 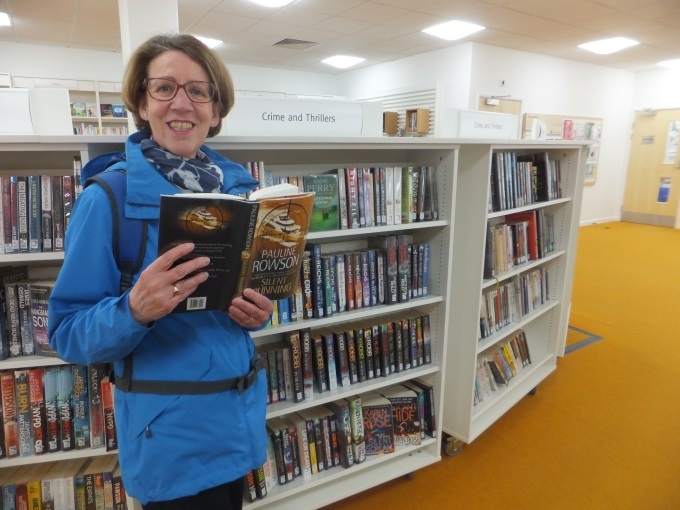 While on location research for the third Art Marvik marine crime novel in April I dropped into Newhaven Library in East Sussex and was delighted to learn from the library staff that both the Art Marvik and DI Andy Horton crime novels are enjoyed by readers of Newhaven Library. 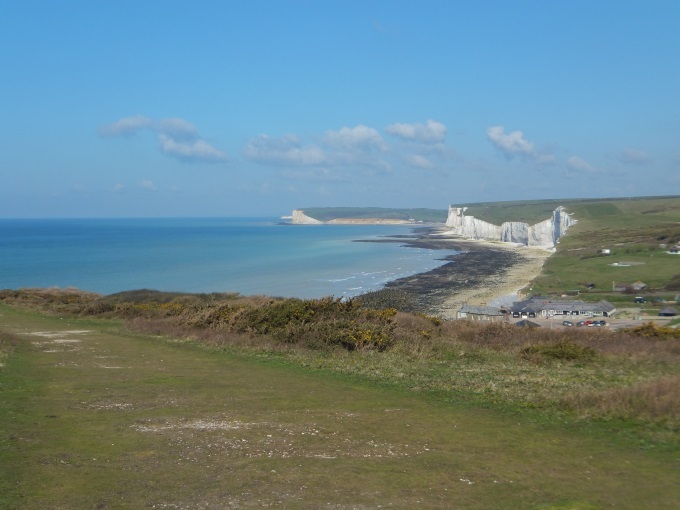 In the third in the series, Marvik sets off on his powerful motorboat for Eastbourne in East Sussex on the south coast of England to assist Helen Shannon in a new murder mystery investigation. Helen Shannon is also featured in the first Art Marvik marine crime novel, Silent Running. Marvik's investigations subsequently take him over the South Downs to the Birling Gap and the Seven Sisters chalk downs. Read more and view the photographs. In June I was at Portsmouth International Port to launch the second in the Art Marvik marine based crime series, Dangerous Cargo, published by Severn House (31 May 2016). And what better place to do so than in front of a cargo ship, although the cargo in the second in the crime series featuring marine investigator, Art Marvik, is of a far more deadly nature than bananas transported on the Geest Line's MV Benguela Stream, a purpose-built Dutch-registered 150m vessel for the ocean transport of perishable cargo. 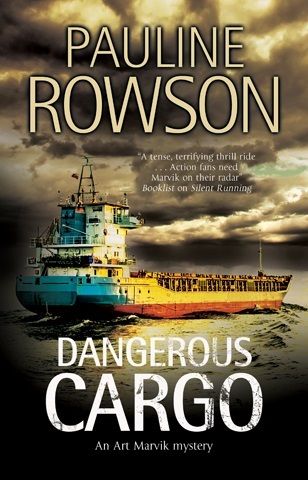 Dangerous Cargo, is the second in the Art Marvik marine crime series, the first Silent Running was published in the UK and the USA in 2015. 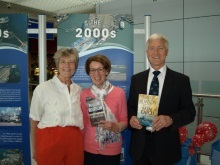 The Portsmouth International Port, features in the DI Andy Horton crime novels. 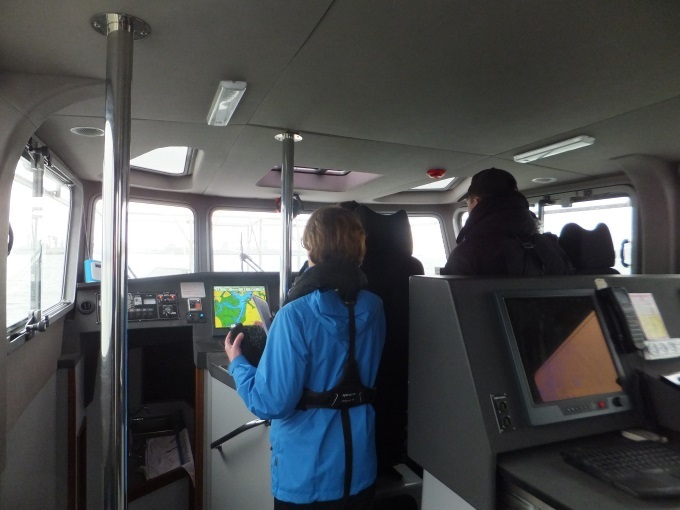 It is owned and operated by Portsmouth City Council and has grown extensively since its formation in 1976 when initially it offered just one route to France from a small section of reclaimed harbour front. Now it is known as Britain’s Best Connected Port with more destinations than any other UK Port. The Port is also a key destination for fresh fruit and vegetables from all over the world. 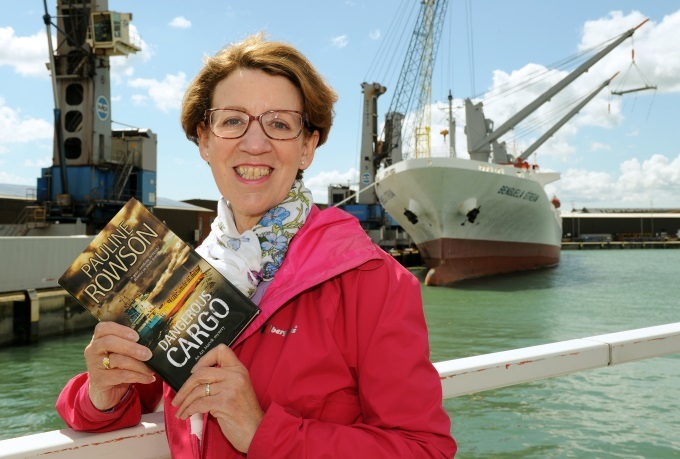 I was very grateful to Portsmouth International Port for helping me to launch my latest crime novel there and the photo shoot was tremendous fun. I was also delighted to be asked to help them with their fortieth anniversary celebrations. F our decades since the first ferries departed from France the Portsmouth International Port has seen 90 million passengers, 25.5 million passenger vehicles and 8.5 million units of freight come and go to Europe on 135,000 ferry crossings. That's a lot of traffic! I also took along Andy Horton in the seventh in the series, A Killing Coast. 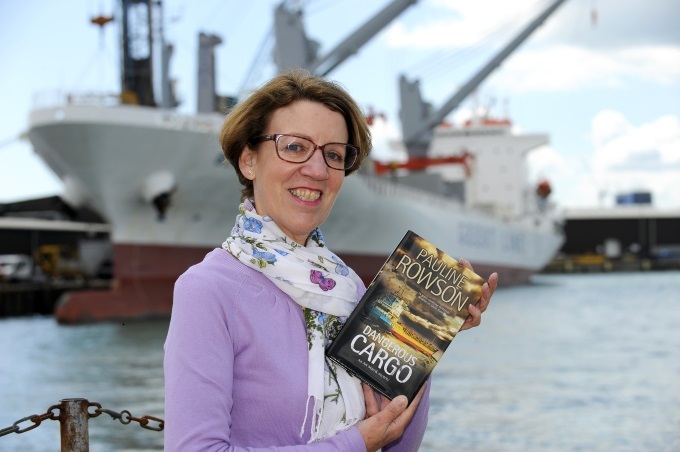 The International Port ran a competition to win a signed copy of Fatal Catch and the Art Marvik marine crime novel, Dangerous Cargo. 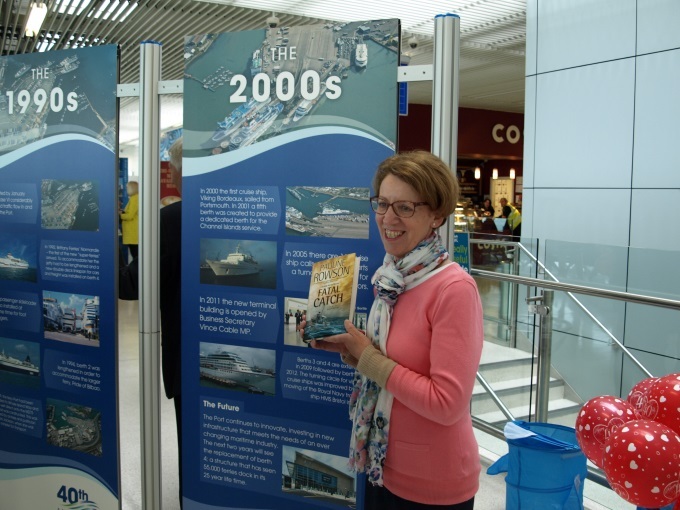 To mark the publication of Dangerous Cargo in e book and hardcover in the USA Severn House Publishers launched a competition in September to win an e book copy of Dangerous Cargo. Five lucky winners received a copy and I hope they enjoyed Marvik's mission for the National Intelligence Marine Squad. Well that's my final round up for 2016. I've looked back over 2016 at the radio and TV interviews I've given, the talks and book signings I've undertaken, the wide variety and number of my crime novels which have been published in so many different formats throughout the year and finally here the writing, research, photo shoots, launches and competitions. It's been a fascinating and enjoyable year. Here's looking forward to a busy and productive 2017 and wishing you all a very happy and healthy New Year. PS Here comes the Oscar award acceptance speech! My thanks to my publishers, my agents, the booksellers who champion my crime novels and sell them, to everyone who has supported me throughout the year and most of all to all my lovely readers. Thank you.